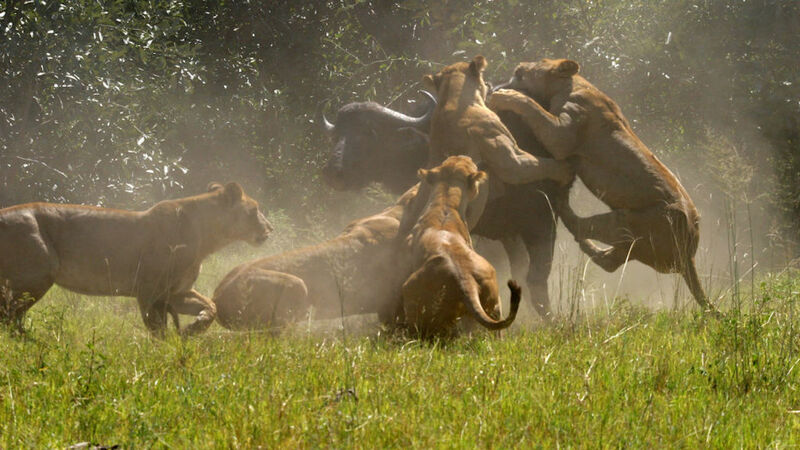 5 Days safari in Selous and Mikumi Safari is probably the only classic Safari to Southern Circuit of Tanzania and we offer you the best of it. Starting and ending at Dar es Salaam this safari takes you to the Greater Selous Ecosystem and gives you the rare chance to experience real African Wilderness in the few untouched areas of Tanzania. Unlike the packed Tourist Areas of the North during the peak safari seasons, This safari gives you the opportunity to be in the secluded middle of an African wilderness with the whole Savannah almost for your own. This is the best place to be if you want that ‘away from the crowds’ safari. This our 5 day safari in Selous Game Reserve & Mikumi National Park as it is, is a nice mid range lodging safari but we can offer the same package using other upgraded accommodations if you wish or even cheaper places where possible. Ask for free Customization! 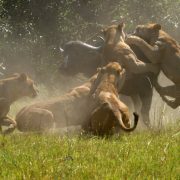 The same safari can start and end at Zanzibar as we can also arrange a fly in safari straight into Selous Game Reserve. If you are flying from Zanzibar to the Selous Game Reserve you have two options to choose from. You can either choose to fly from Zanzibar to Selous Game Reserve where you will meet up with our safari guide or you can fly early in the morning to Dar es Salaam to start the safari by road together with our safari guide. The cost for these options differ. 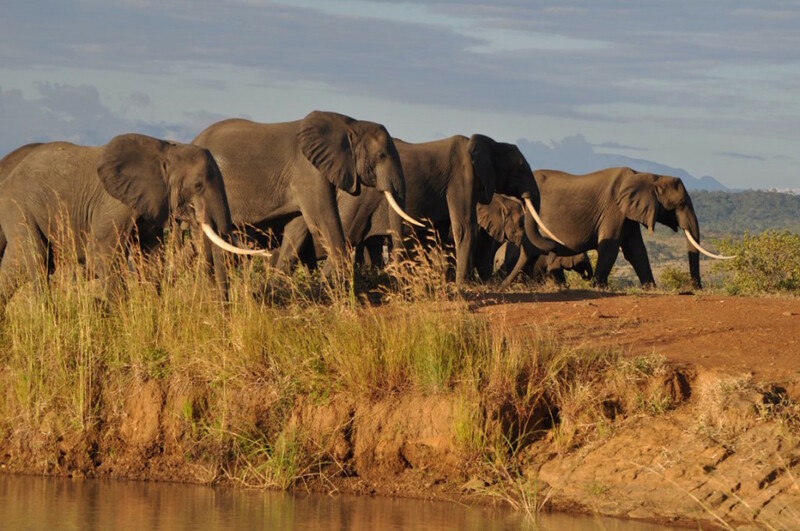 We normally help in arranging flights for those who would like to fly to Selous or to Dar es Salaam to start this 5 Days Selous and Mikumi Safari . Let us know if you would like us to help in arranging your flight to Selous from Zanzibar Island. On this first day of your safari you will be picked from your hotel or Airport in Dar es salaam and start on your way to Selous Game Reserve. 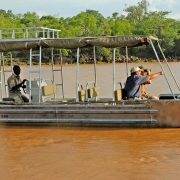 It is relatively far and you will have a picnic lunch en route or hot lunch at the lodge and arriving later in the afternoon you will proceed with your first activity of the safari which is a boat safari in the Rufiji River at Selous Game Reserve. Later in the afternoon retire back at your lodge / camp for dinner and overnight. Overnight at Selous Mapumziko Lodge. Lunch box and dinner included. 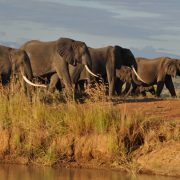 On the following two days you will spend the days doing game drives in the plains of Selous Game Reserve. 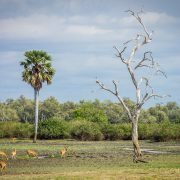 Selous Game Reserve is reputed to be best the off the beaten track wildlife safari destination away from the crowds. The Game Reserve is the largest Game Reserve in Africa with is area being more than the size of Switzerland and is full of wild animals and birds’ species. Apart from the lions, leopards, giraffes, elephants, hippos, impala, hartebeests, pythons, elands, but it is the rare wild dogs that will most maze you. With a little bit of luck you will be able to see these rare incredible hunters of the African Wilderness. 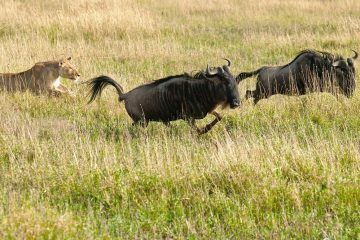 Unlike the Northern parts of Tanzania where animals and birds are more habituated, animals here are more timid. Selous Game Reserve has a recorded 350 different species of birds recorded. 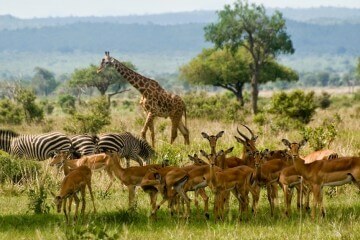 On one of these days you will be taken for a walking safari in Selous guided by an armed ranger. Overnight at Selous Mapumziko Lodge. All meals included. After breakfast at the lodge/camp we check out and proceed by crossing the north of Selous and drive to Mikumi National Park. On arrival we will go on our first game drive in Mikumi National Park until later in the afternoon when we drive to the lodge or tented camp for dinner and overnight. 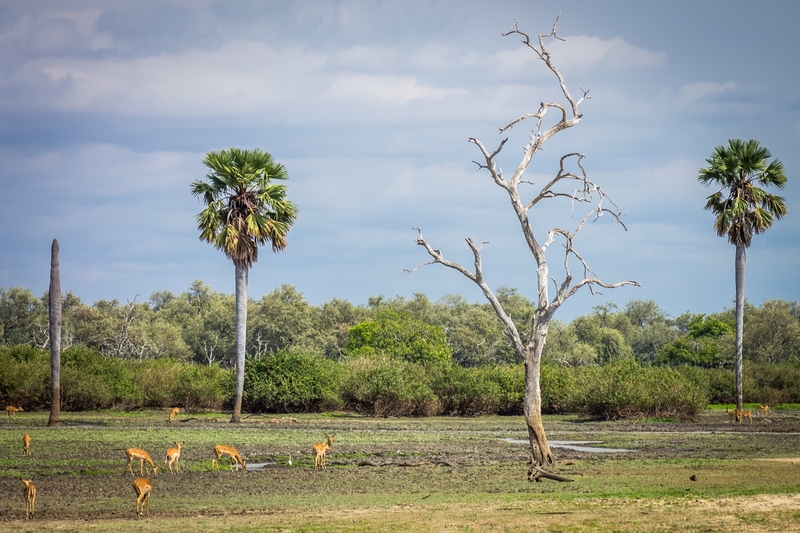 Mikumi National Park is relatively less developed infrastructure but that makes the park even better because that has helped in preserving the wilderness in its natural state for many years. 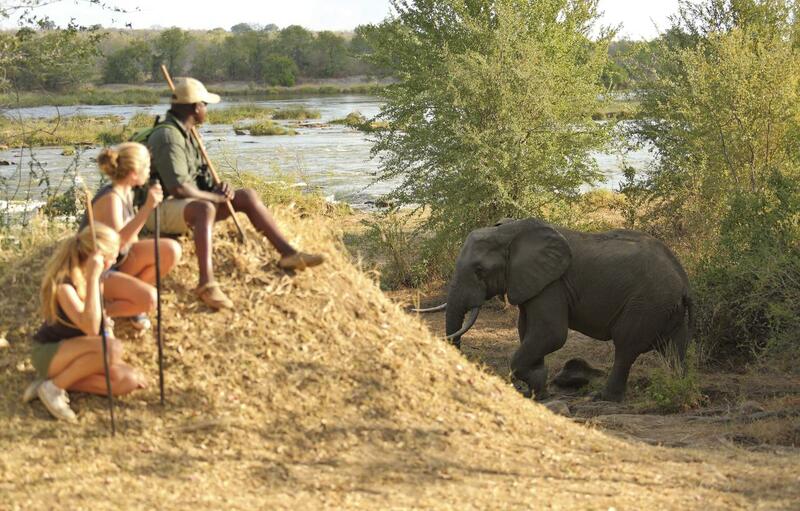 There is an option of doing a walking safari guided by an armed ranger if you wish. Overnight at Camp Bastian or Matembezi Safari Lodge. All meals included. 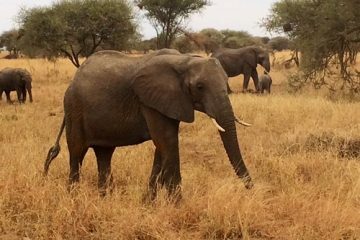 On this day after breakfast we continue with game drives around Mikumi National Park with options to do game drives or go for a walking safari until noon when we drive out of the park and head back to Dar es Salaam, or take a flight back to Zanzibar Island. Breakfast and lunch included.